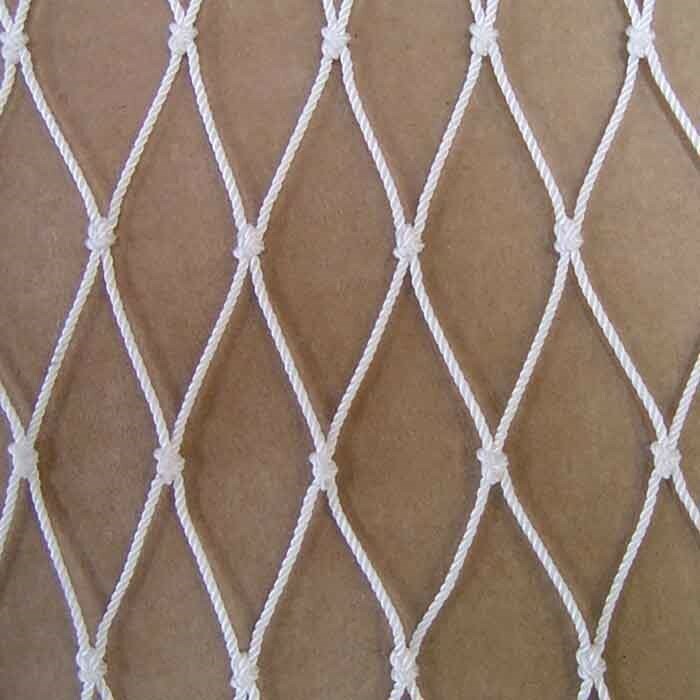 Nylon netting made of "Trawl Twist" twine has been developed for big pelagic trawls. For such trawls, netting with high elasticity, low towing resistance and high breaking strength is essential in order to cope with extreme peak loads which are unavoidable when working in rough seas. Furthermore the mesh sizes have to come back to their original dimensions after the load has been released. A low towing resistance reduces the fuel consumption, allows a higher towing speed and to work with bigger trawls. We achieved this performance by using the best available nylon raw material for our hard twisted twine. Of this twine the netting is being produced by sophisticated machines, then the netting is stretched and at the same time carefully heat treated to ensure exact mesh sizes and tight knots. Knotted netting sections can be joined or repaired in the traditional way without problems. Skilled fishermen can construct and mount fishing gear according to their experience and particular needs.